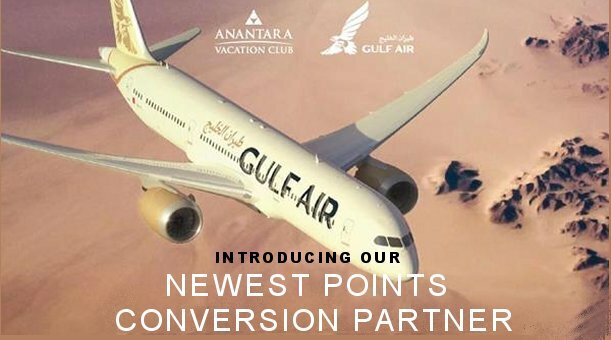 Anantara Vacation Club has partnered with Gulf Air, Bahrain’s flag carrier, to further enhance the benefits available to its Club Points Owners. Anantara is one of the leading shared holiday ownership programmes in Asia and the new deal means that owners in its Diamond Ownership tiers and above will be offered the opportunity to convert their Anantara Vacation Club Points into Gulf Air’s Falcon Flyer miles, providing them with access to over 90 destinations worldwide. Eligible Club Points Owners will be able to convert their Club Points at the rate of 1,000 Anantara Vacation Club Points for 2,500 Gulf Air Falcon Flyer miles. Gulf Air joins the likes of Cathay Pacific’s Asia Miles and Thai Airways’ Royal Orchid Plus Miles programmes to have partnered with Anantara Vacation Club to offer Club Points conversion options and expand the shared holiday ownership brand’s presence across the Middle East. It is also the latest member of Anantara Vacation Club’s growing number of alliance partners in the region, including Emirates Skywards, Saudi Arabian Airlines’ Alfursan and Abu Dhabi Commercial Bank.